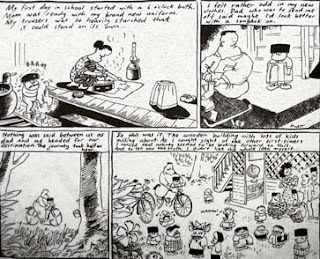 Let me introduce of my favorite cartoons and cartoonist... 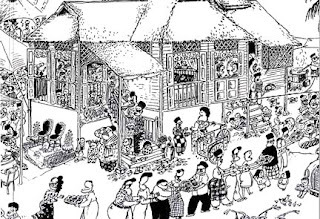 The cartoons and inside of the story many, many came with memories and reminiscence me since i kid. 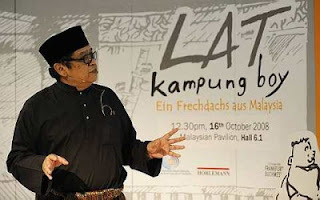 LAT (Mohamed Nor Khalid) is one of the most-read cartoonists in Southeast Asia, and with the continued, widespread reprinting and translating of his cartoons, he is gaining worldwide fame.His annual compilations of his strips into books have been extremely successful with one, Kampung Boy, selling more than 100,000 copies. 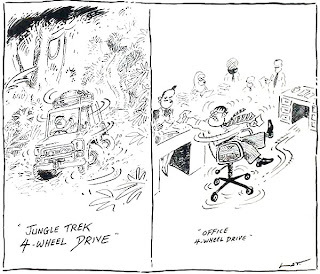 The first print of 60,000 over copies sold out within four months and it had to be reprinted. For a country like Malaysia, that response is a big amount. 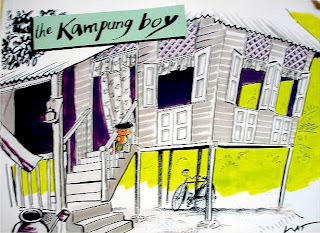 His comics have a very wide range for an audience including children, intellectuals, and politicians who are fansMalaysia's favourite cartoonist Lat (Dato' Mohd Nor bin Khalid) is a household name in Malaysia. 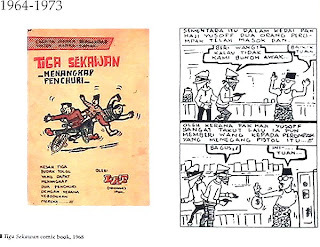 His cartoons have been appearing in local papers from as far back as the 1960's, first in Berita Minggu and then in The New Straits Times. 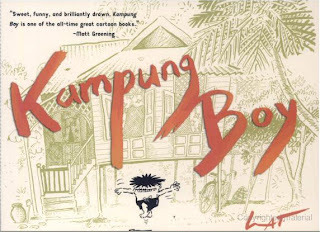 With countless comic books and the successful cartoon series "Kampung Boy" , Lat is one of the most prolific artists in Southeast Asia.In 1998, Lat even undertook a two-month research on race relations across the United States when he was awarded the Eisenhower Exchange Fellowship. Lat was selected as the 25th Malaysian to take part in the Fellowship under its Multi-Nation Programme aimed at fostering international understanding, peace and productivity through the exchange of information. Let’s take a peek at the books written by Lat.